'Julia's Snake Pit' by Henriëtte Wijnen is a true story about the impact of toxic management. A book about intimidation, abuse of power and about violating the integrity that governs an organization and all the side effects for Julia and her workplace. Henriëtte Wijnen has been working at management level since 1996 and leads teams of up to 25 employees, first at Start Uitzendbureau (now: USG People) and subsequently at various municipal organizations. As a manager, has always been responsible for the coaching of her team members. She is used to making decisions and bearing responsibilities, even in difficult times. She is committed to constructive cooperation with open and transparent communication. In addition, she thinks it is important to use the knowledge and experience of people in practice in change processes. Within the social domain she worked for many years as manager and project leader and she was responsible for the content of the reintegration (work) & projects, job coaches, job hunter, social domain policy, integration, debt counseling, adult education and WMO. Through years of school management experience with the portfolio of personnel affairs, a background in education and management experience (public and commercial sector) she can better guide and implement an optimal career and / or management coaching program within the education sector. In her career she gained management experience in both the business sector and the public sector. Currently she works as an independent career and management coach. In addition, she is a trainer in the field of integrity management and political sensitivity. She regularly gives lectures and workshops on 'The road to integer and desirable behavior in the workplace' based on her book Julia's Snake Pit (Publisher Gopher, 2016). Her book is a true story about her experiences as a manger working in a toxic organisational culture and the impact of the undesirable behavior that goes with it. She wrote it meant as a wake up call in the hope of inspiring managers to create a healthy, safe and stimulating working environment for their employees. In addition, it is unfortunately a recognizable story for many people. You published a true story about the impact of toxic culture in the workplace. What is the key message of your book? It’s very important to be open and transparent (also during organizational changes) to each other. A safe and healthy working environment is possible when team members are clear about cooperation, goals, functioning and integrity, when there is full disclosure of intentions, interests and needs of each other. Without a healthy environment, a snake pit is lurking. From a personal point of view, it is important to stick to your principles. If you believe in your own strength you always come out stronger. You have more resilience and courage than you think. What is your solution for reinventing a healthy workplace? In my opinion, it starts with authentic leadership. When a manager is honest and shows sincere attention and intentions for the other employees, this creates trust. Trust is a pillar of cooperation and guarantees the achievement of the organizational objectives. If there are situations that have negative consequences, then it’s important to be clear about the circumstances, substantiate them with facts and keep away from vague suspicions. Accept people as they are, acknowledge their values and treat them with respect. What was the biggest challenge you had to overcome to arrive where you are in your life? I have already experienced a lot in my life, lost loved ones and that was tough. But facing the challenging experience of ‘the snake pit’ at my workplace hit me so hard that I got totally out of balance. I have often wondered why that impacted me so badly. I found myself, suddenly, in a very serious, unjust and intimidating situation. Power abuse was, apparently, the norm. I assumed that there would be a genuine solution or conversation, and ultimately a fair legal process. But that turned out to be 'wishful thinking'. I became ill because of the toxic management in my work environment. I was exhausted from fighting for justice and recognition for myself and my team’s work. After my illness and the related dismissal from my job, I had to regain confidence and win a place in the labor market. In order to get there again I had to literally distance myself from the period of ‘ the snake pit’ and to put a real distance, I travelled to the other side of the world, as a volunteer to an orphanage in Bali. What changes need to happen in each local community so people don't feel intimidated in the workplace? Firstly, it is important that there is a culture on the work floor that is based on trust. This starts with the right selection and appointment of management. Do they show exemplary behavior? Co-workers must be able to express their views, must be allowed to take critical view points without being afraid of losing their job. In other words, nobody should allow a culture of fear at work. It is important that it is tackled in one way or another and replaced with a fair, positive climate. For example, by appointing a confidential advisor within the company, it can clear agreements about mutual communication and giving feedback. What is acceptable and what is not? Discussing these situations openly, in meetings, would eliminate, instead of create, a precedent. As far as I am concerned, only by applying zero tolerance for intimidation, a workplace could be a healthy environment. It has been scientifically shown, that an unsafe working atmosphere leads to stress, illness, burnout, reduced involvement and productivity. I am not even talking about the costs of absenteeism, nor about the costs of legal processes that often are the result of a toxic work environment. 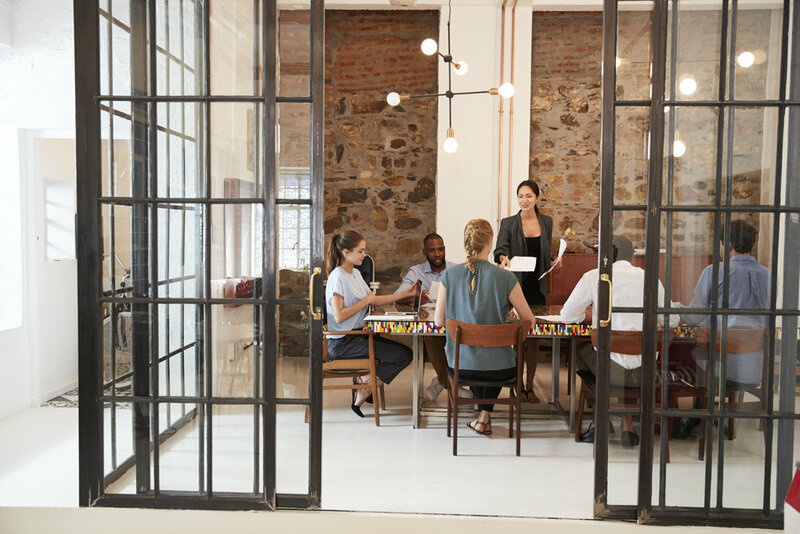 Each and every organization must ensure an effective policy when it comes to undesirable behavior in the workplace and ensure that it is maintained throughout. When boarding of new personnel, a re- evaluation and adjustment of the policy is necessary. If you are dealing with unhealthy environment at work, ask for help, make informed choices and look for a different working environment where your talents will blossom again, find a team where there is positive energy, appreciation and compassion. I am writing a new book series ‘Your Stardust Story- 1001 inspirational People’ and I would like to invite you along into this adventure! This book is designed to be a culmination of the great human spirit, in its pages you will discover true grit, joy, pathos, determination, love, friendship, betrayal, trust and compassion. To be considered for BECOMING ONE OF THE AUTHORS, please email me using the form included here.